They are the grand, majestic sound track of life’s most dramatic moments. Over the centuries, bells have called us to wake, to pray, to work, to arms, to feast and, in times of crisis, to come together. And on Remembrance Day this year, at exactly 12:30 p.m., they will toll again across the City of Sarnia – at least, in those churches that still have bells. The initiative, known as “The Bells of Peace,” will commemorate the joy that spread through the city 100 years ago as the momentous news of the war’s end spread. In Europe, the guns had finally fallen silent as the great armistice came into effect on the eleventh hour of the eleventh day of the eleventh month. On that day a century ago, pealing church bells across the community rang in the jubilant news. But the celebration was tinged with sorrow, as residents took stock of the 171 men who had left for war —61,000 Canadians in total – who would not be coming back to loving families. Another 172,000 Canadian soldiers were wounded in body and spirit. 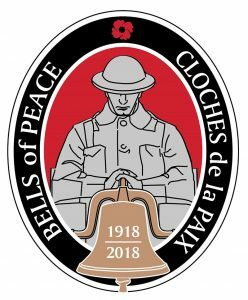 The Bells of Peace initiative began in the United Kingdom, intending to honour the more than 1,800 “campanologists” – members of the church bell-ringers guild who gave their lives for King and Country in the Great War. In Canada, the initiative was adopted by the Royal Canadian Legion. Pat Gagne of Legion National Command believes that communities across Canada – and in Germany – will participate. 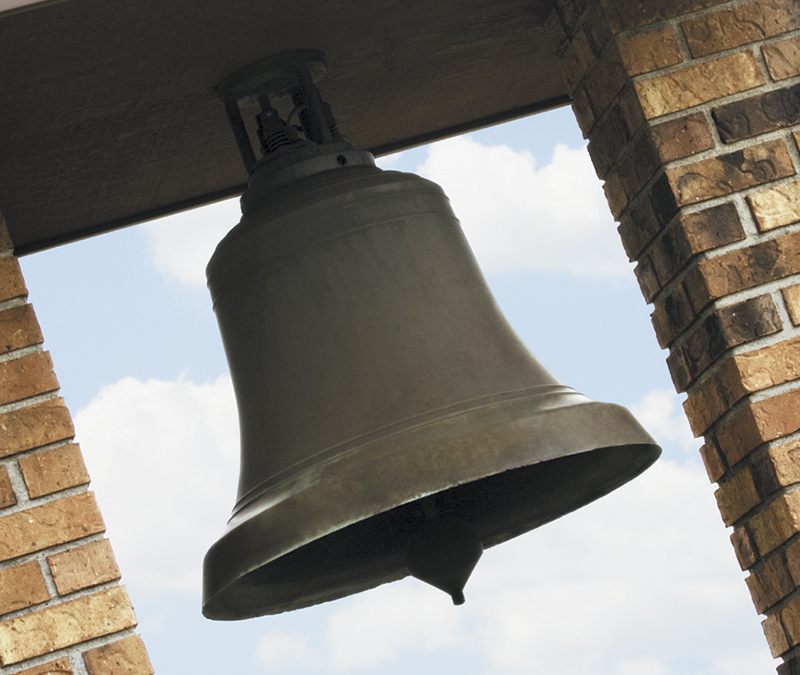 Eight city churches will toll their bells, said local coordinator Deacon Chuck Stevens. They include Our Lady of Mercy, Trinity Anglican, All Saints, Canon Davis and Central United, the Presbyterian churches of St. Giles and St. Andrews, and First Christian Reformed. Stevens believes they are the only area churches that still have bells. 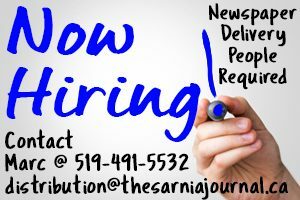 Sarnia Fire Rescue also plans to sound its fire bells as part of The Bells of Peace program, he added. Each bell will toll 100 times, with five seconds between. If the sound sends a chill down your spine this Nov. 11th, imagine the delirious effect it had 100 years ago after four merciless years of carnage. It will be a time to reflect, to remember, and to honour our glorious dead. In the morning, at noon, and at the going down of the sun – let us remember them.